A classic contour pad for your close contact saddle. 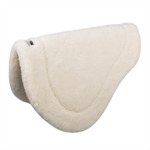 A classic contour pad for your dressage saddle saddle. Available in many shapes sizes and fabrics. 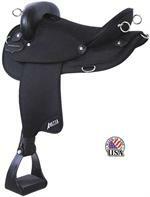 A classic contour pad for your event saddle. A classic contour pad for your cross country saddle. 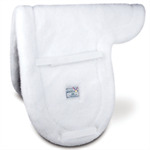 A classic contour pad for your child's close contact saddle. 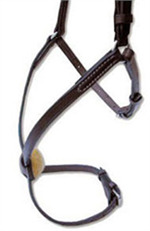 Build your own bridle from many sizes and options. A Figure 8 Bridle with hundresds of variations. The best trunk we've ever seen! A classic contour pad in your choice of fabrics, sizes and shapes. 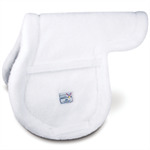 A classic contour pad for a child's saddle in your choice of fabrics and shapes. Weighted liners for the T-Boot XCEL boot. 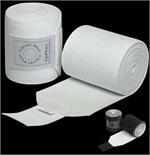 EquiFit Standing Wraps Ag-Silver T-Foam 12" & 14"
T-Foam Standing Wraps with Therapeutic Silver. 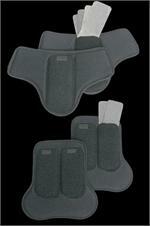 Standing Wraps Ag-Silver T-Foam 16" & 18"
Breathable T-Foam Standing Wraps with Therapeutic Antibacterial Silver. 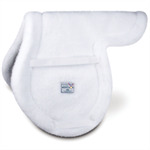 Keep your horse's legs cool and supported while working. A great solution for your EquiFit T-Boots. A great piece of bridlework. 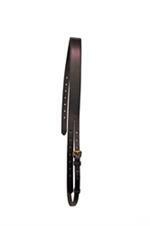 Well made bridlework to match your other Nunn Finer strap goods. Plain padded cavesson to match your Nunn Finer bridlework. To Match your Nunn Finer Bridlework. 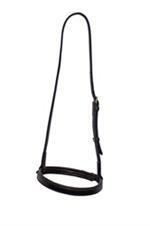 Padded Drop Noseband to match your Nunn Finer Leather Goods. 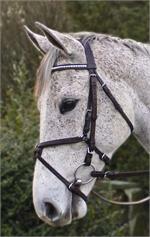 Nice Figure 8 Noseband to match your Nunn Finer Bridlework. 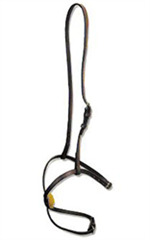 Fully adjustable Figure 8 Noseband to match your Nunn Finer Bridlework.